The Internal Quality Assurance Cell (IQAC) and the Department of English of Mahatma Night Degree College organised a One Day Workshop on “Communication Skills” with a theme “Towards Winning the Goals Set” on Wednesday, the 7th March, 2018. 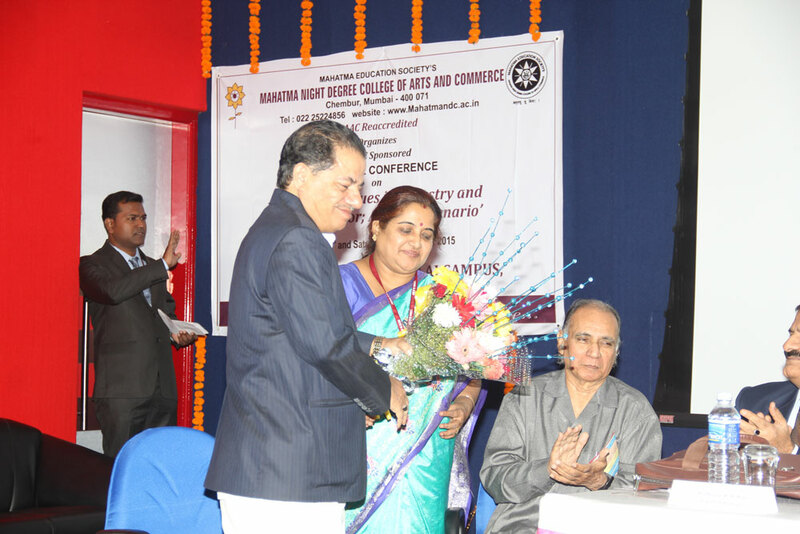 National Level Conference on "Emerging Issues in Industry and Service Sector: A Global Scenario" was conducted on Friday 9th and Saturday 10th January, 2015 at Dr. K. M. Vasudevan Pillai Campus, Sector 16, New Panvel. Mahatma Night Degree College of Arts and Commerce celebrated the International Day of Yoga on 21st June, 2017 in the college campus. 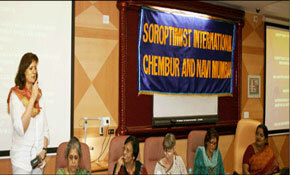 Mrs. Shilpa Ghone, Senior Teacher of Kaivalyadham, Mumbai was the Chief Guest of the event. Bhajan Sandhya - The special highlight of evening was a spiritual meet in which the minister of education Mr.Vinod Tawade, the Honourable vice-chancellor of University of Mumbai Dr. Sanjay Deshmukh were present. A bhajan chanting was recited by the students of music Department University of Mumbai. 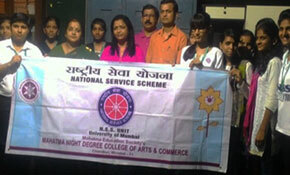 Mahatma Night Degree College of Arts & Commerce is permanently affiliated to the University of Mumbai. The college was established in 1986 with the primary objective of providing facilities for higher education for less privileged youth who cannot become full time students at day colleges. The college runs the three year integrated B.Com. (Regular) Degree Course of the University of Mumbai. 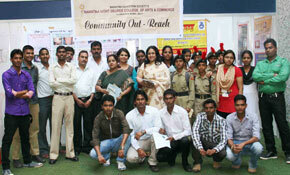 Mahatma Night Junior College is an aided institution attached to the Mahatma Night Degree College of Arts & Commerce. The College was established in 1984. The Junior College offers Arts & Commerce subjects. Essay Competition on "Lokshahi Ani Me"